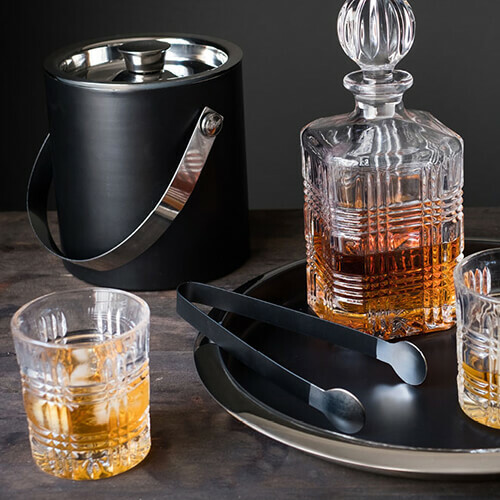 Why head out when you can set up an intimate cocktail party at home with the most stylish accessories. Embrace the bohemian luxe trend and impress guests with an organic table setting using the popular MADEIRA range. 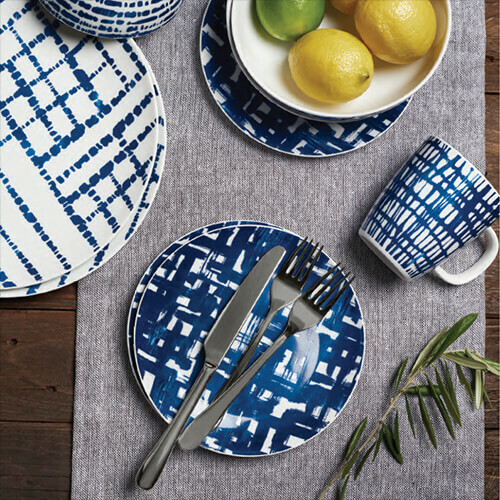 Bold indigo patterns set off a Japanese inspired table setting with the new AKARI range by Salt&Pepper. We embrace the ‘Bohemian Luxe’ trend this season with a range of beautiful pieces which don’t to follow the rules. 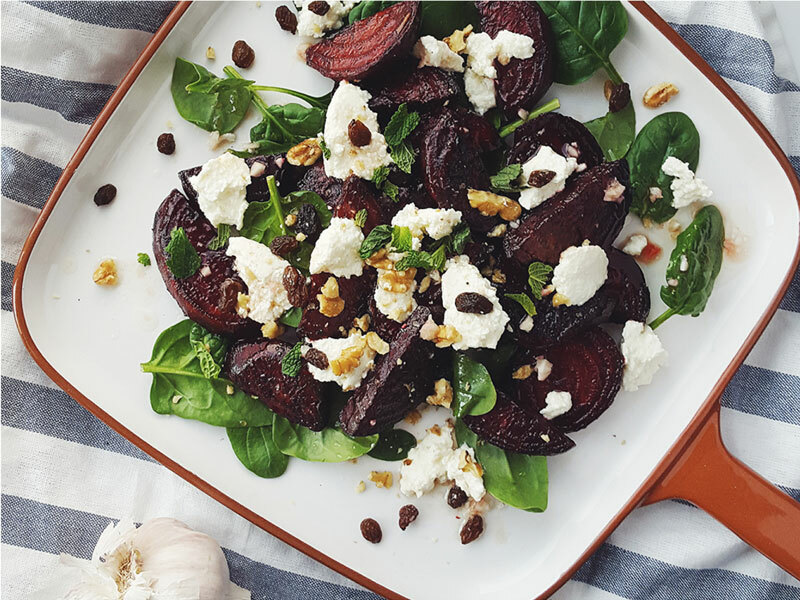 Barbecues, long lunches or a quick afternoon cheese and wine are always so popular for entertaining over the Summer months. 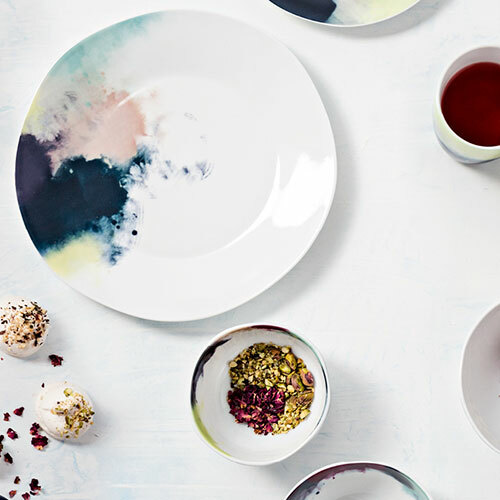 Our COLLECTIVE dinnerware collection features bold prints in bright colours and has been created to mix and match. 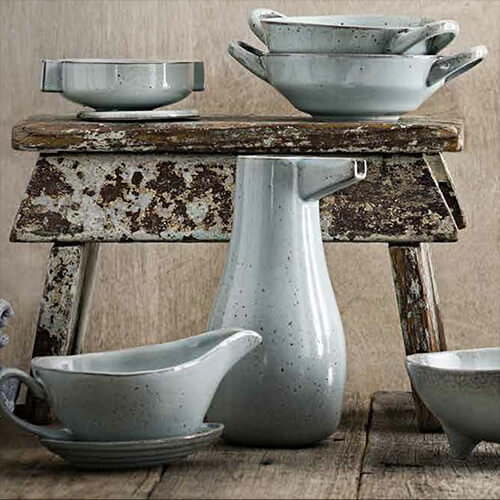 Salt&Pepper introduces RELIC, a beautiful collection of dinnerware made from natural stoneware. 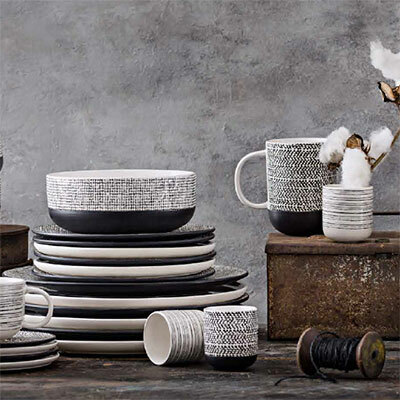 Salt&Pepper’s ARTEFACT is a new range inspired by artisan craftsmanship. 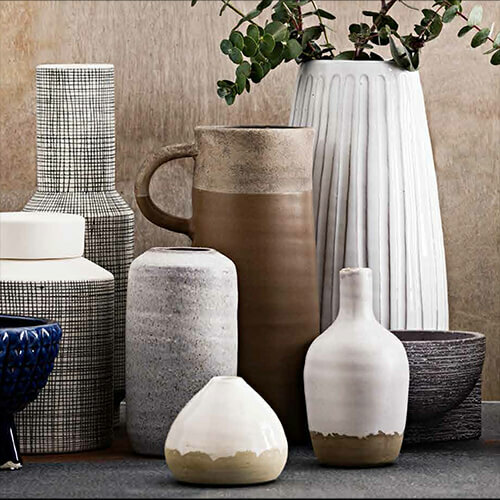 Add key pieces from our GALLERY and EDEN collections to infuse the latest Crafted Culture trend into your home. Looking for that perfect gift for your dad this father's day? Salt&Pepper has got you covered with gift ideas for every budget and for all types of Dad's. Salt&Pepper’s NOMAD collection features organic forms with unique characteristics. 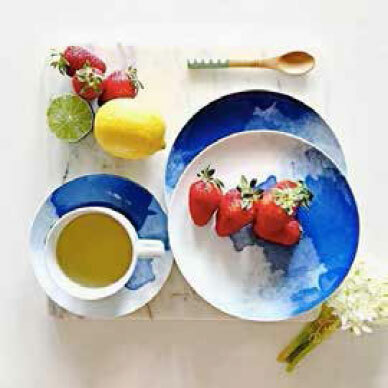 Each unique, handcrafted plate, side plate and bowl has been designed to evoke classic pottery style. 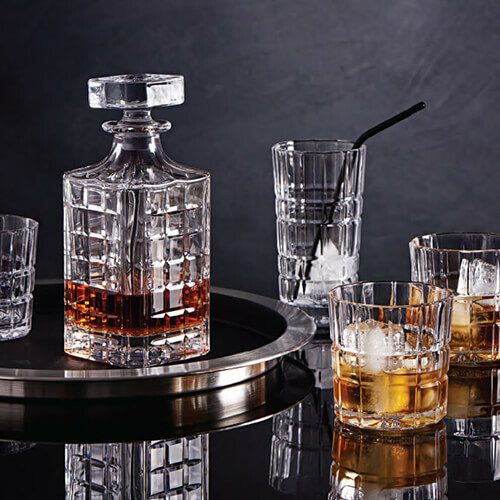 Sold separately to allow you to mix and match and create your own eclectic and personalised setting, the NOMAD collection is aesthetically beautiful. 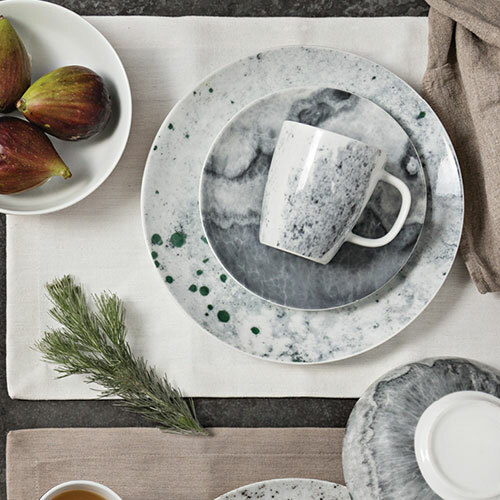 Salt&Pepper’s MARBLE collection of dinnerware and serveware is enhanced by subtle marble textures. 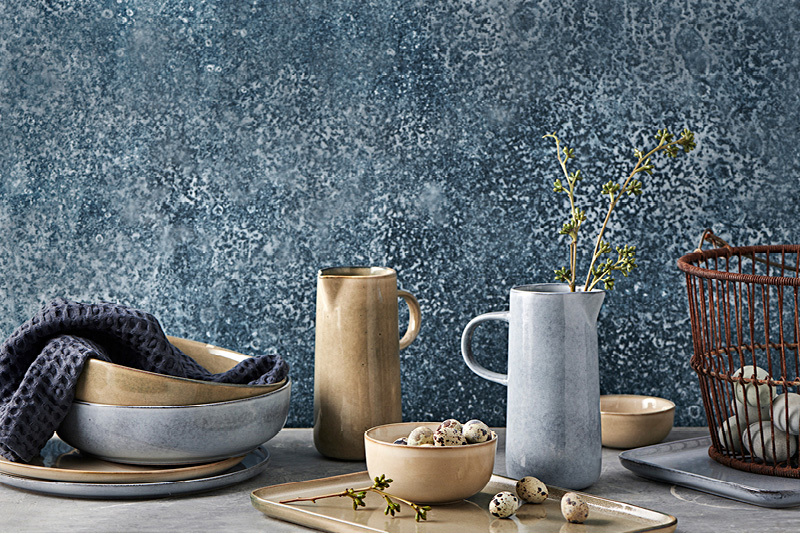 Like the natural material, each piece is unique in its design with a sophistication that will transform your table into a modern masterpiece. To finish the setting think outside the square from traditional cutlery sets and add some colour with the HOST range in gold. The metallic tones will set off the marble textures. 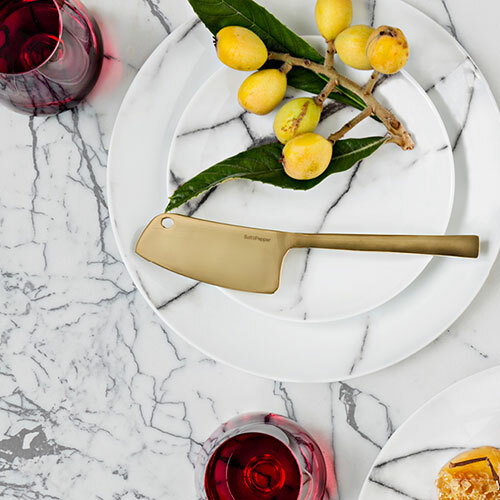 create your own table art with MASONRY. 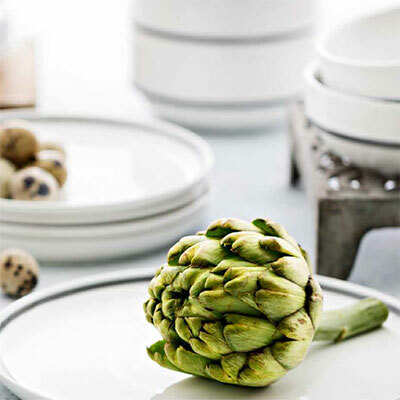 Add a touch of elegance to your table with Salt&Pepper’s beautiful AMELIE collection of dinnerware. A soft blend of romantic watercolours combine with unique, orb like shapes to create a setting which will impress. 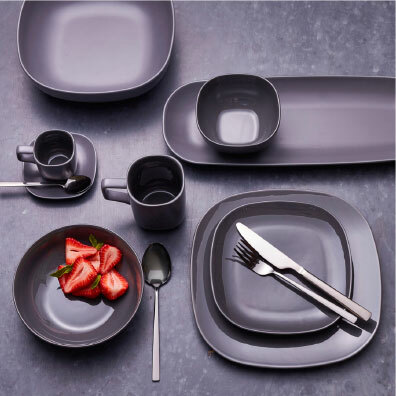 The AMELIE range is available as individual items or a 12pc dinner set. 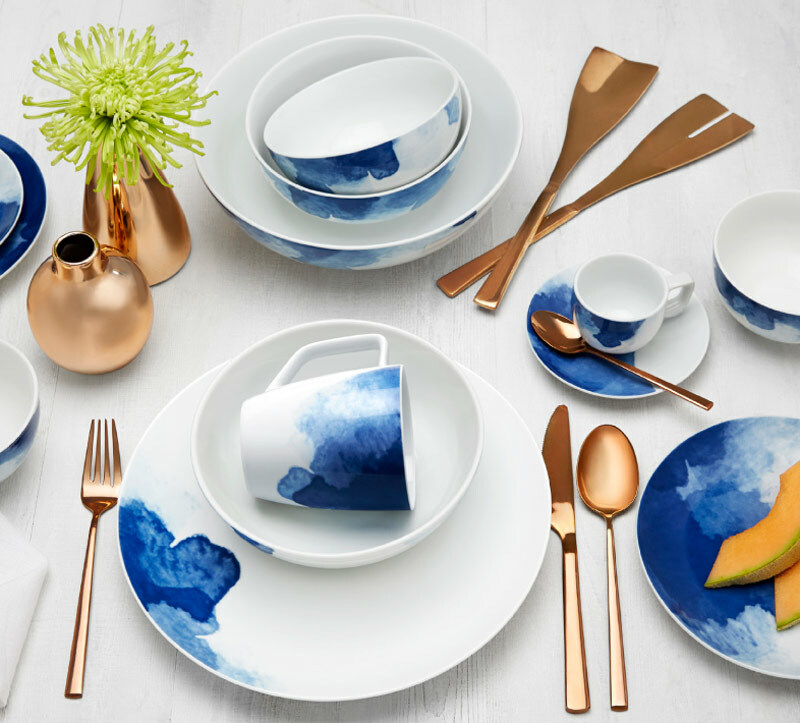 The perfect set for a long ladies lunch or afternoon tea. Pair with our CUVEE glasses which are simple with seamless curves. Our new season collections have a range of gorgeous gift ideas to suit any taste or budget. 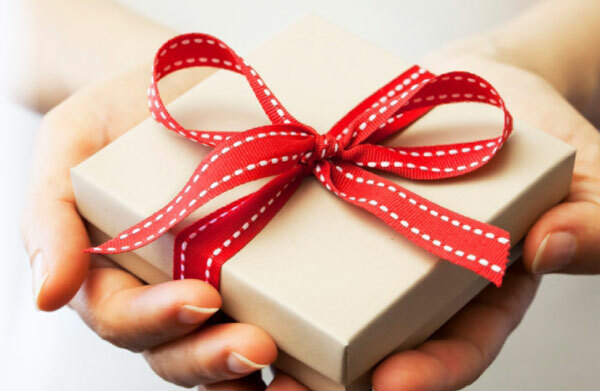 We have selected our Top 20 gift ideas to make any Mum smile. 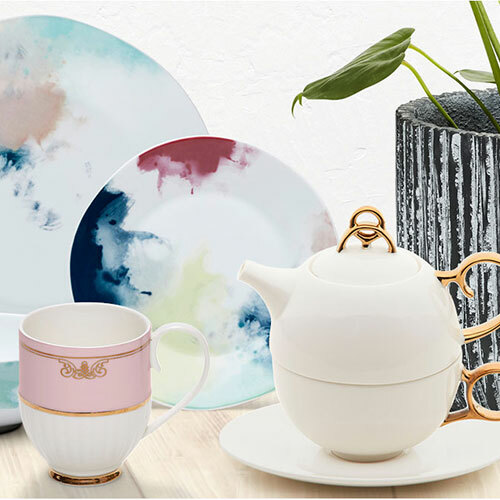 Choose from a dinner set from our new AMELIE collection incorporating soft blends of romantic spring watercolours, or a range of entertaining accessories from our FROMAGE range (for serving cheese), HOST cutlery or ECLECTIC tea serving set. And for Mums who love an organised kitchen, key storage accessories from the HUDSON range. There is something to suit all tastes. We know Mums love flowers on Mother’s Day, but this year why not surprise her with a beautiful planter from the new EDEN range (and include a plant as well to complete the look!). 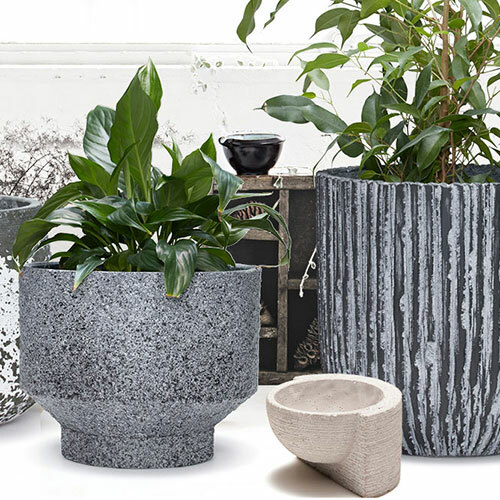 Concrete, ceramic and metal elements have been used to design a collection of indoor and outdoor planters which will add personality and warmth to any home. The range features modern colours of black, white, grey and indigo - an ideal palette that can work inside or outside the home. Use for plants, or even a small herb garden for outside and don’t be afraid to cluster pots together to create a unique feature and talking point. Salt&Pepper is Fashion for your Home. There is nothing more enjoyable than being served breakfast in bed by your loved ones on your special day. 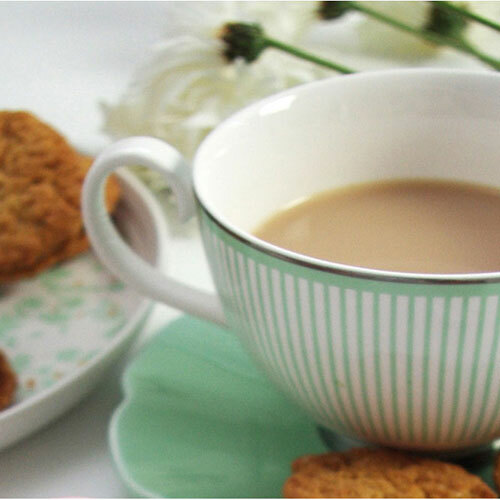 Whether it is tea, coffee, eggs or croissants, we have a range of gorgeous accessories that will impress Mum and keep her happy all day long. It's almost that time of year again to bring out the dresses, fascinators, suits and of course the champagne! The race that stops the nation is fast approaching and we are here to give you a few top tips on how to celebrate in style. 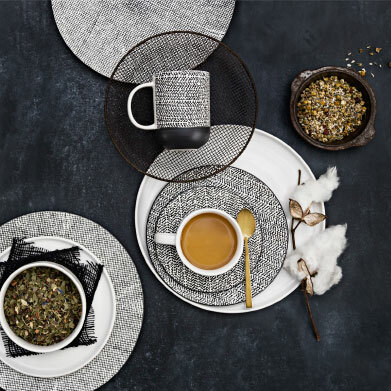 Set the scene with Salt&Pepper's RAWW collection, a new tabletop range combining natural, organic textures with a contemporary design. Each piece features a hand crafted, organic texture on the outer surfaces reminiscent of brush marks and material imprints. The matte, raw outer surface feels almost unfinished and natural, whilst the opposing high gloss inner surfaces add a premium finish and allow for easy food service and cleaning up! 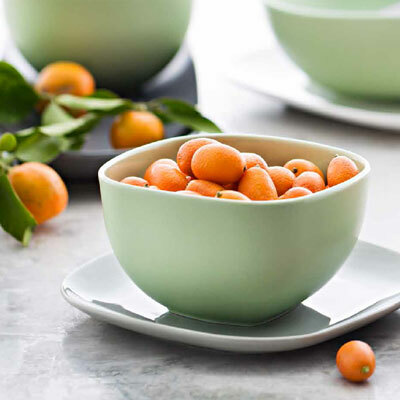 This season, update your old dinnerware collection with the new OLSEN range. A defined, grey line on a white body provides a classic, yet contemporary finish. OLSEN is the new classic dinner set with its functional design for easy storage and new take on the ordinary white dinner set. 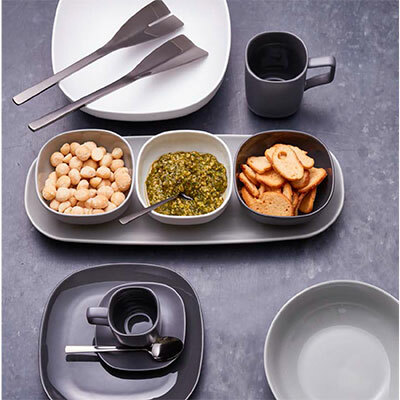 Available as a 12-piece dinner set and sold separately with plate, side plate, bowls and coffee mug, OLSEN makes for an ideal breakfast, lunch or dinner setting. It can also be the ideal setting for your holiday home down the beach. 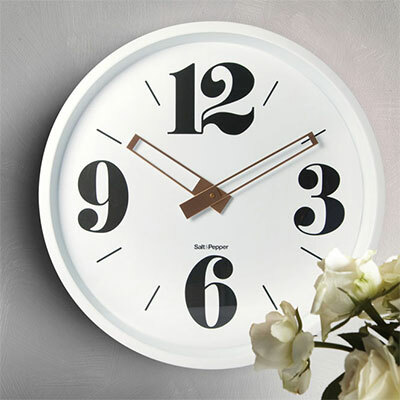 The streamlined design will add fashion and function to any style of home. 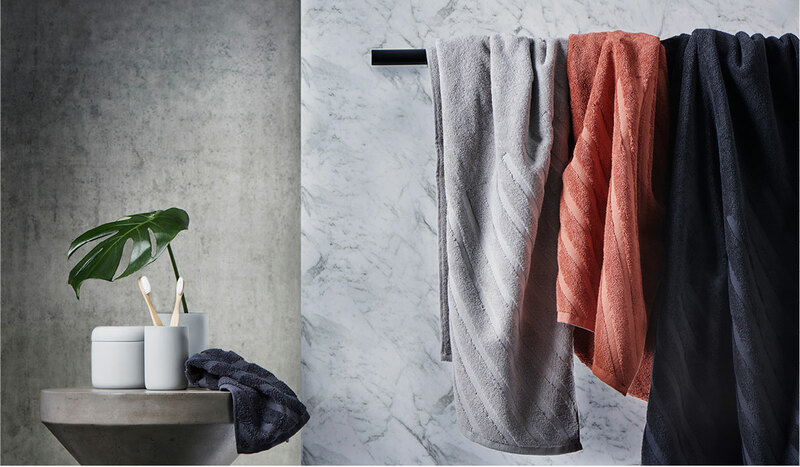 Salt&Pepper’s SHADE collection is simple elegance, combining soft shapes with a satin matte finish. SHADE is the perfect platform for everyday dining or that something special. The warm grey, charcoal and white settings have now been enhanced with the new colour, sage, a pastel, nature inspired green that blends in perfectly with the natural and organic palette of colours and textures within the range. Salt&Pepper introduces their new Summer colour to the already successful SHADE collection. Sage green adds a touch of Summer freshness to the warm hues of grey and charcoal. Don’t be afraid to mix clashing colours on the table. 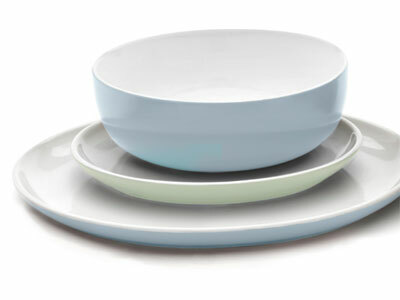 Set a dinner plate, side plate and soup bowl on top of each other in different shades and transform your setting. This is the time of the year when we open our doors and invite family and friends around for long lunches al fresco style. Seafood is a popular menu item in many Australian homes during the warmer months. 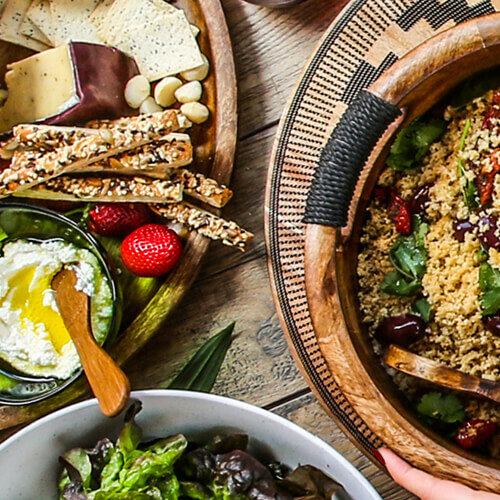 Just as popular is entertaining tapas style, with shared platters and guests being able to linger around the kitchen table. 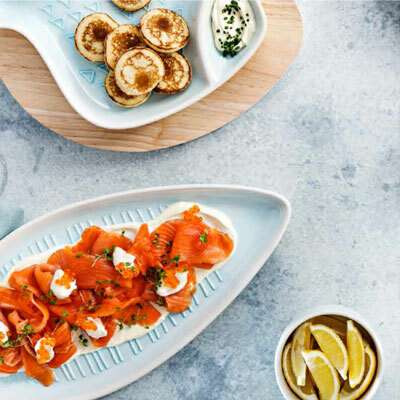 Salt&Pepper’s new COAST range will be a hit with seafood lovers. Set the table and let guests slowly enjoy the afternoon with delicious seafood and a glass of crisp white wine in hand. The launch of Salt&Pepper’s new Spring/Summer Collection also sees the introduction of the new campaign shoot by winner of Salt&Pepper’s inaugural #SPSEARCH photographic compeittion launched in March. #SPSEARCH was launched by Salt&Pepper inviting consumers from social media to show off their photography skills, no matter their profession. 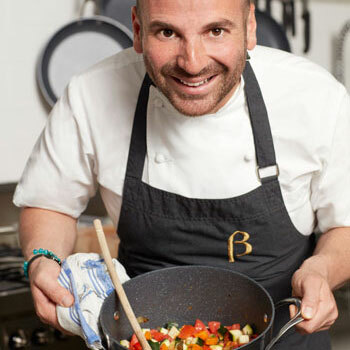 Australia’s leading homewares brand Salt&Pepper, has teamed up with one of the country’s most well renowned chefs, George Calombaris, to create the new cookware collection, GREEK.Australia’s leading homewares brand Salt&Pepper, has teamed up with one of the country’s most well renowned chefs, George Calombaris, to create the new cookware collection, GREEK. Make an impression with Salt&Pepper's PAINT collection. 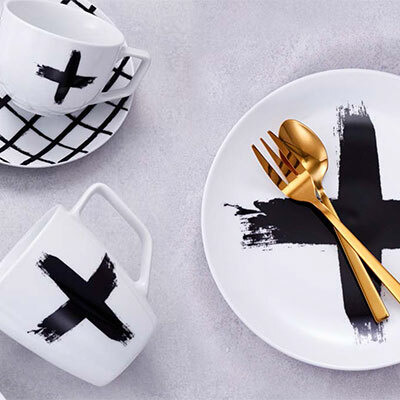 Featuring bold, black brush strokes, the monochromatic dinnerware has been created to build and layer. 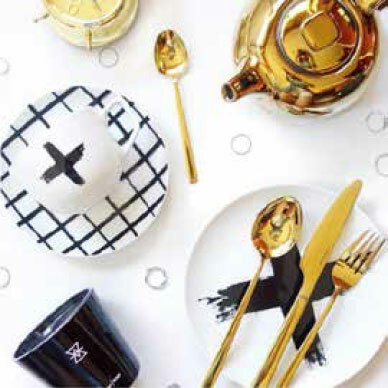 Combine with accents of gold HOST cutlery to complete the look. 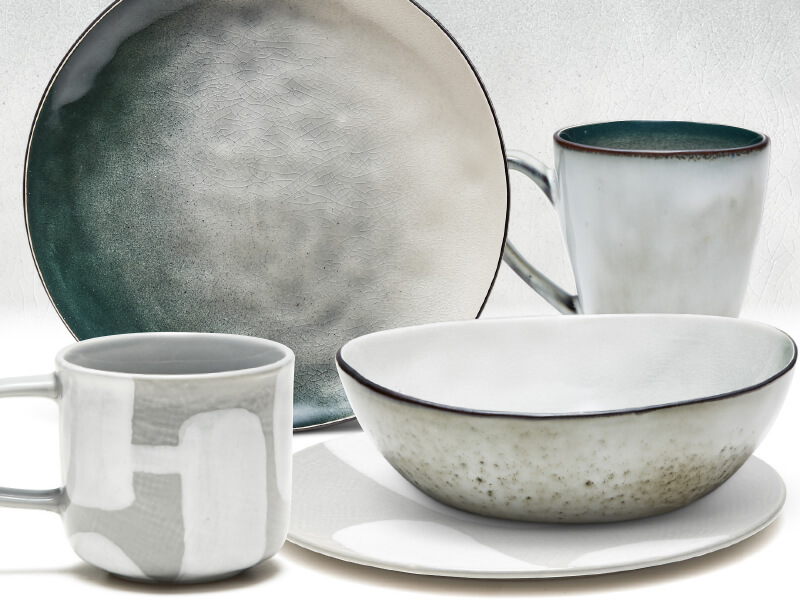 Salt&Pepper's SHADE collection of dinnerware has been created with a simple elegance. 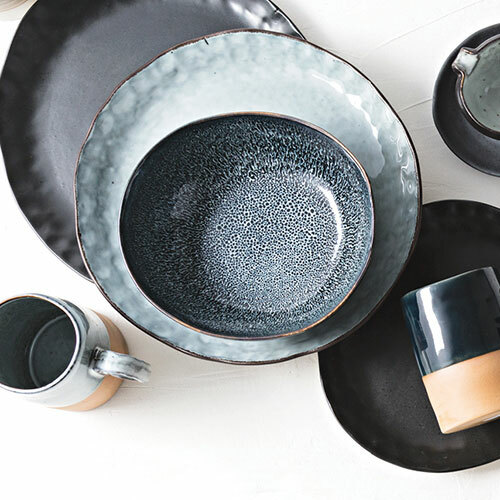 Soft shapes combine with a satin matte finish and natural palette to create a collection that is the perfect platform for everyday dining or that something special. Salt&Pepper's EATALY and PARMA have been created to enhance the pleasure of all your favourite Italian dishes. 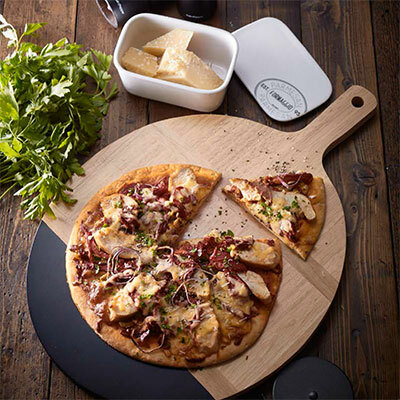 Serve up your favourite pasta, pizza or antipasto in traditional and authentic Italian style. Are you the next Salt&Pepper photographer? We are looking for our next photographer to style and photograph our Summer collections. For a more rustic or exotic setting this Summer the new BABYLON range of terracotta serveware will really make an impact. Each piece is hand painted with unique motifs. 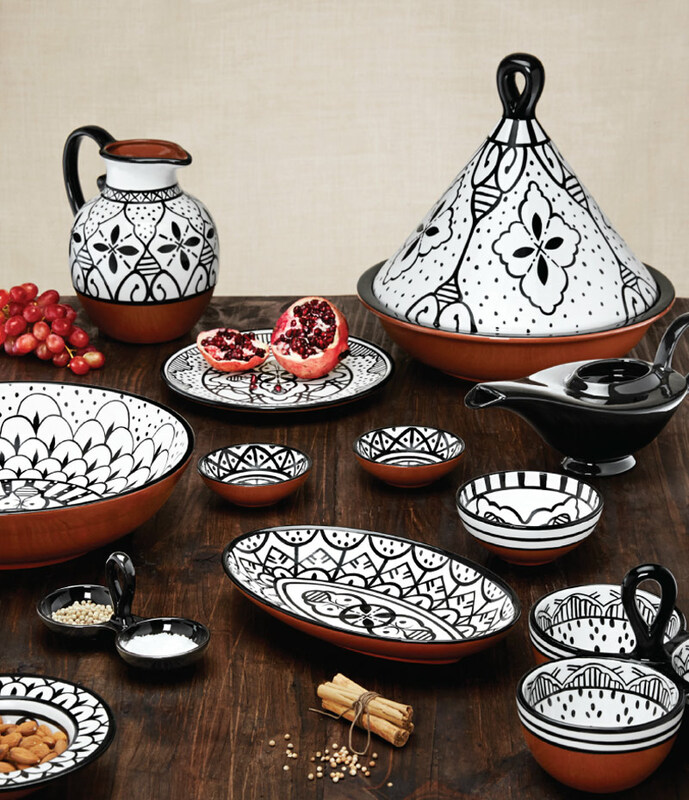 Mix and match with our STUDIO white or black serveware for the perfect Summer entertaining setting. Taking inspiration from the colours of Summer skies and influences from home interiors and fashion from around the world, we introduce CUMULUS. 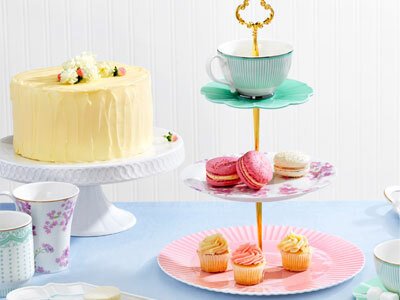 Hosting a kitchen tea, bridal shower and even a baby shower is not a simple affair anymore! Choosing the right colour scheme and designing a theme can really set the tone for a majestic affair. 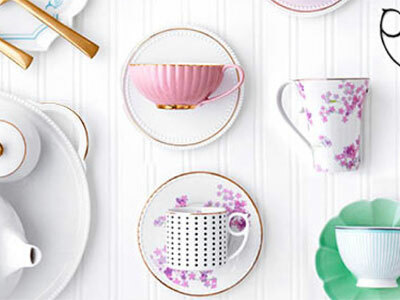 The pastel trend is moving into kitchen accessories and serveware this Spring/Summer season. If you lean towards a modern aesthetic, our new STUDIO pastel range is for you! Taking inspiration from the trend in pastels in home décor and serveware, the new colours include solid pastel pinks, baby blues and mint greens. The opportunity to mix and match clashing patterns and combine with pieces in solid pastel pinks, baby blues and mint greens are endless with our ECLECTIC and STUDIO ranges - so don’t hold back!! 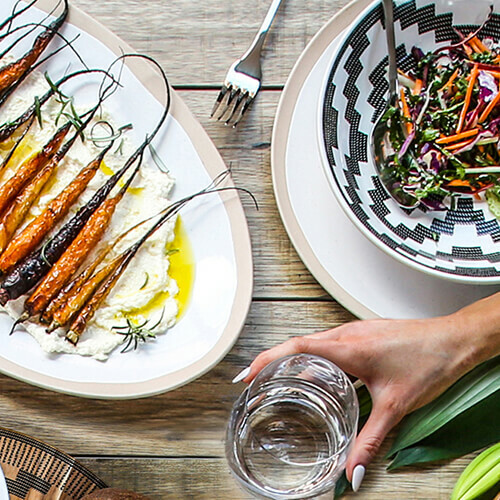 Prep, cook and serve from oven to table with our TERRACOTTA range. 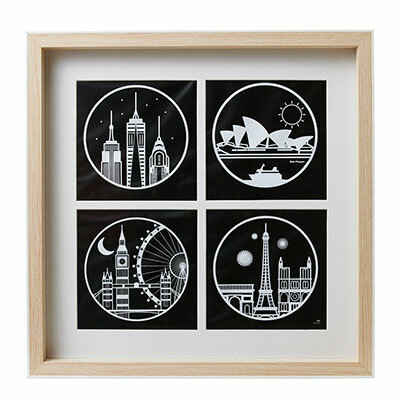 The contemporary style and classic colour palette of black or white looks perfect in any home. Our STUDIO range is sold separately so you can pick and choose from the collection to personalise your table for any occasion. 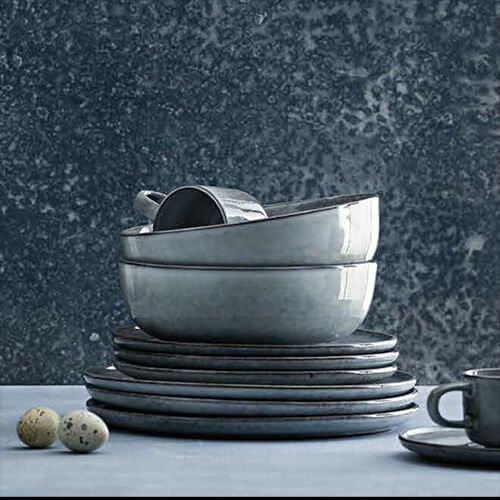 For a stylish and sophisticated setting this Winter, combine grey and black pieces from the STUDIO range. 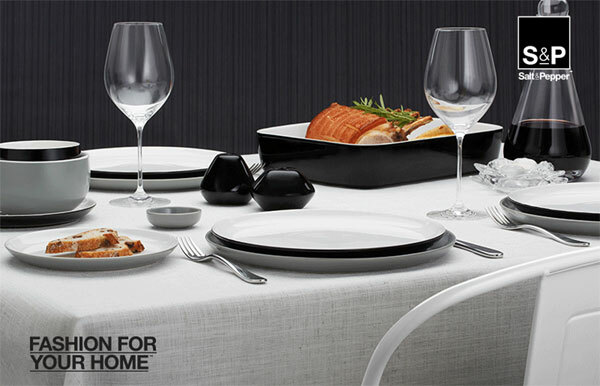 Start with dinnerware, combine black dinner plates and side plates, with highlights of grey in soup/noodle bowls. 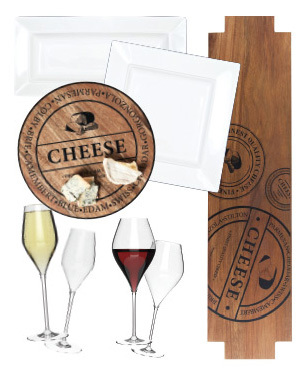 Post dinner, warm up the bones and refresh the palette with a delicious selection of cheese and wine. 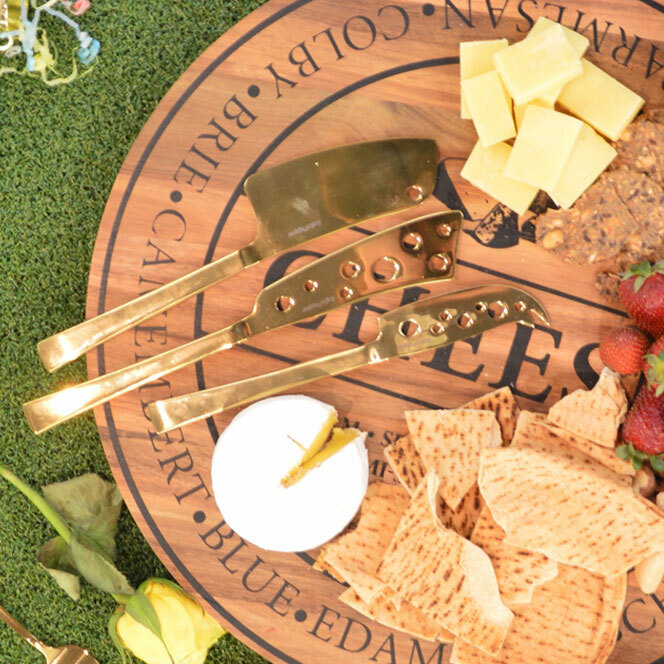 Our FROMAGE range is as popular as ever, offering specifically designed serveware to enhance the presentation and enjoyment of fine cheeses. 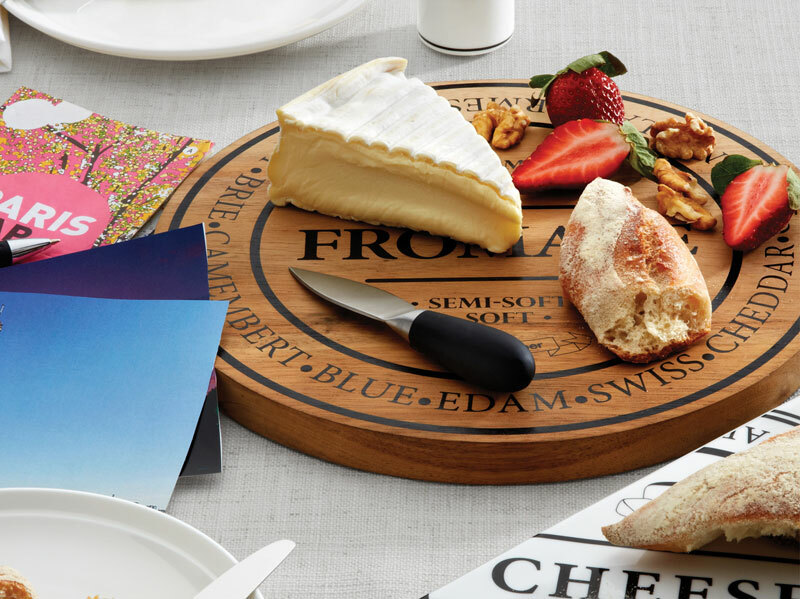 Warm timber platters paired with white ceramic serveware and stainless steel cheese knives, FROMAGE brings restaurant quality dining into the home. Of the 5 senses, perhaps scent is the most evocative. It can relax, arouse and be it a scent for our bodies or our home, it is deeply personal. When you decorate your home, you consider colour, light and style. This season, add scent to those elements and add another dimension to your personal or work space. 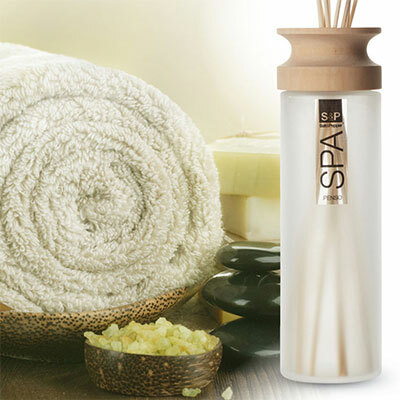 This season Salt&Pepper launch their new luxury collection of fragrances; SÉRÉNITÉ and SPA. One of the most important accessories for the home is the floor or table lamp. Finding the right design and colour tones sets off the look and feel of the lounge, bedroom or hallway. Salt&Pepper's MOOD range of lamps offers classic to contemporary bases and shades. 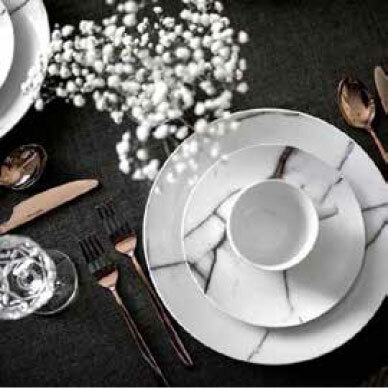 From black and gold, rose gold and white, marble to concrete and classic shapes and designs, there is something for every home to set the mood this Autumn Winter. Decorating the home is a reflection of personality and taste. Express your personality in the home you love this Winter with one or two new key pieces that will refresh a room without breaking the bank. Which Mum is your Mum? If you’re looking for that special gift for Mum to cherish, then a gift for her home is one that will stand the test of time. 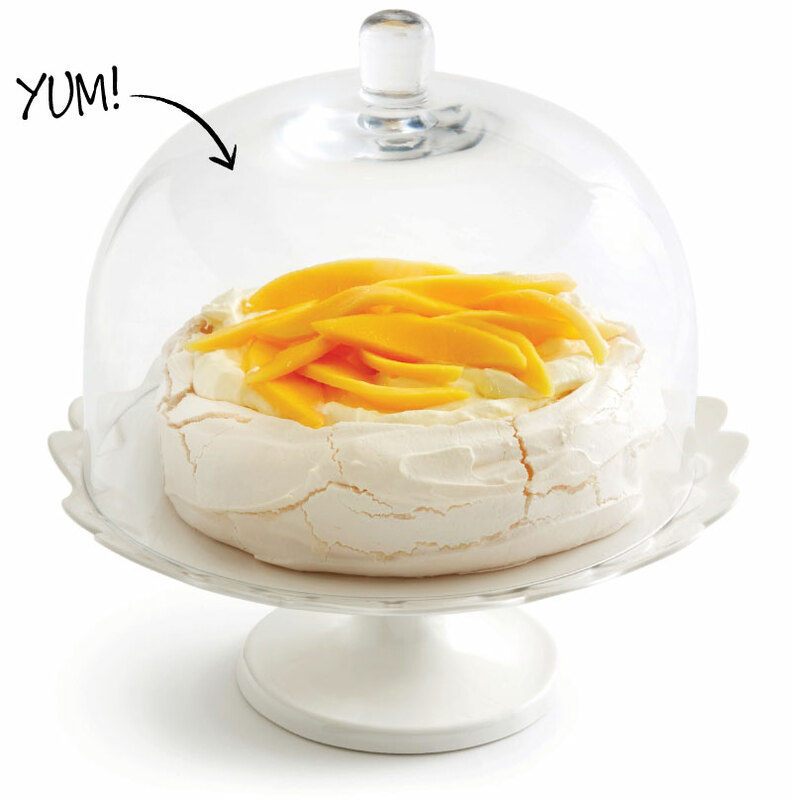 Looking for a simple, no fuss dessert…. Look no further. 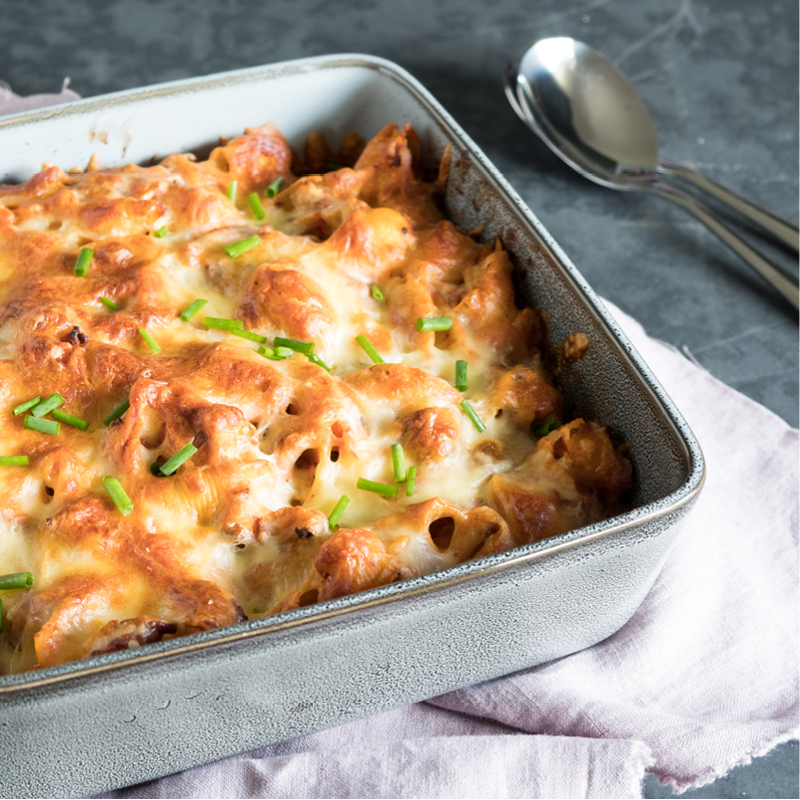 This is a super easy recipe which is not only delicious, but looks amazing too! 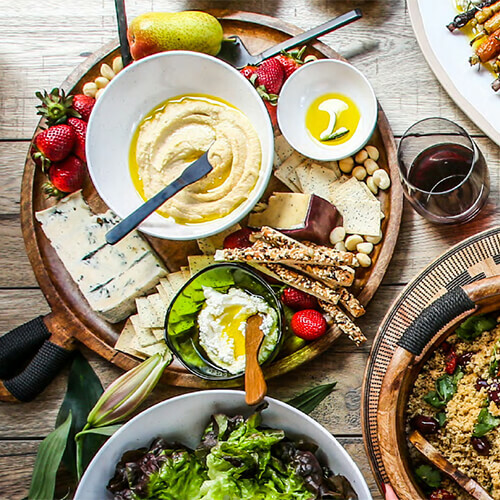 Share dishes make entertaining even easier. 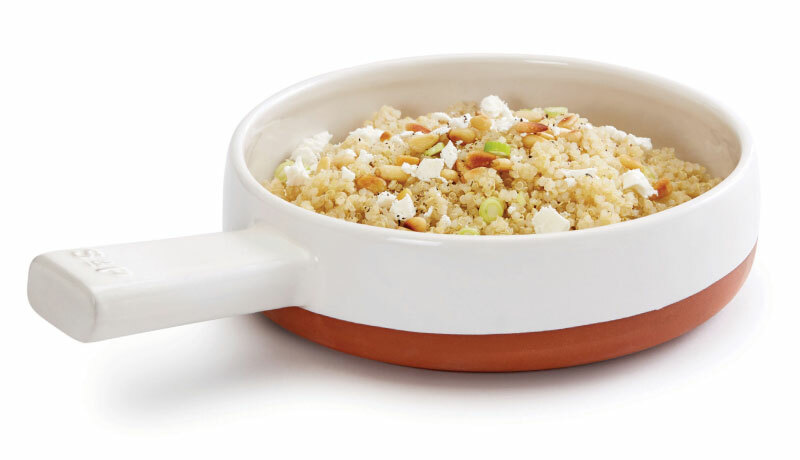 This couscous recipe is quick, easy and delicious! 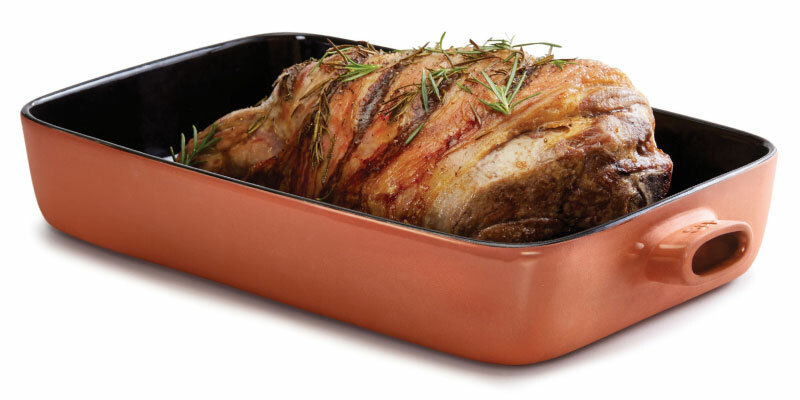 With Winter just around the corner, there is no better time for a home cooked roast. Here is a delicious recipe which the whole family will love! Introducing MARBLE! Like the natural material each piece in our MARBLE collection is unique in its design, decorated with swirls and veins characteristic of the natural material. 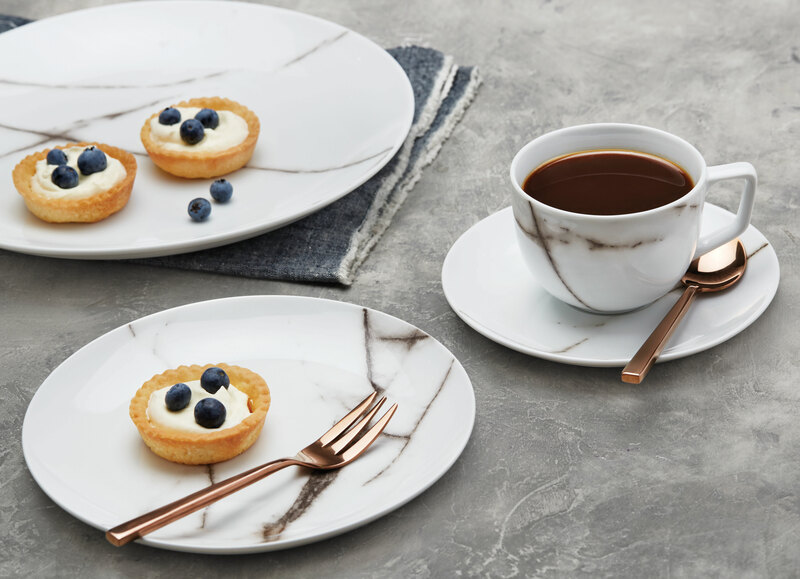 Find out how to transform your table into a modern masterpiece with our new MARBLE and rose gold HOST ranges here. 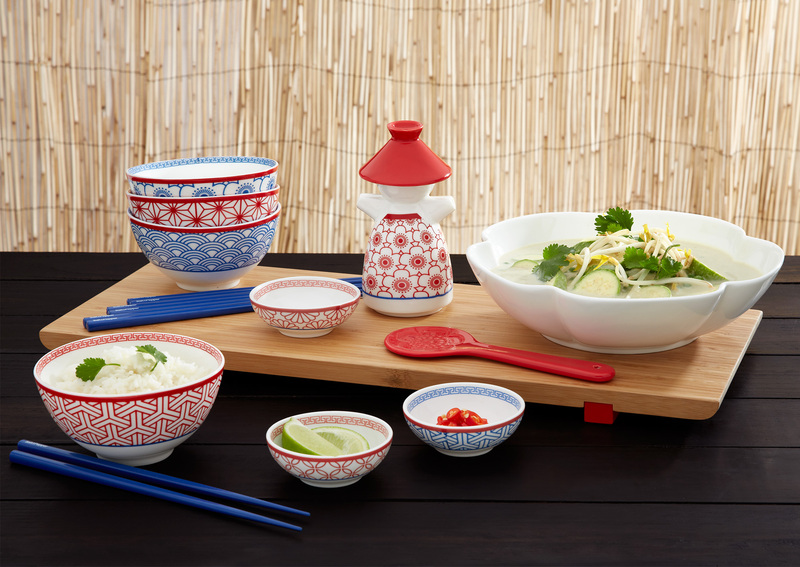 To create a restaurant dining experience at home start with the dressing the table with the essentials including rice bowls, chopsticks, entree plates, rice spoons and condiment dishes. One of my most important must haves is glassware. There is nothing more worse than not having enough glasses when you have guests over. We just love this time of year! The warm weather looks like it is here to stay and its arrived at no better time than Spring Carnival!! 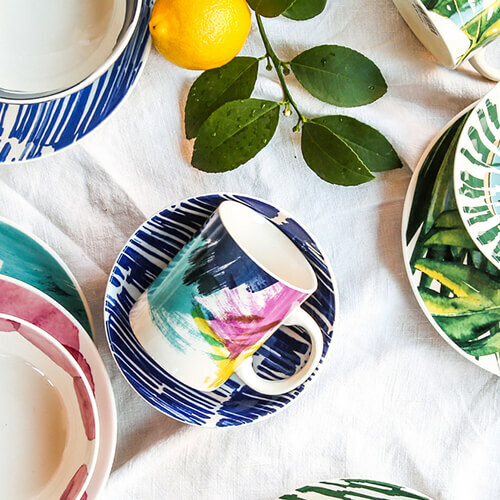 If you are entertaining at home this Spring Carnival Season, or even just over next few months, we’ve pulled together a few tips on how to introduce colour and theme to your next home entertaining event!